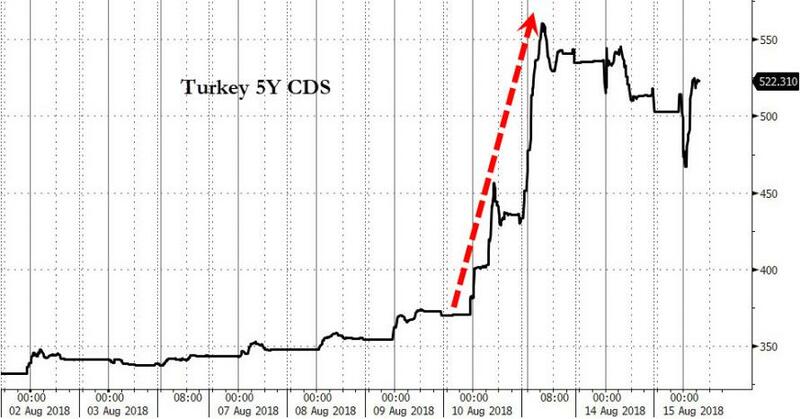 After years of being conditioned to BTFD in any and every asset, one London-based Barclays credit trader is licking his wounds this week after major losses in Turkish bonds. Bloomberg reports a senior Barclays trader has faced losses of about 15 million pounds ($19 million) on Turkish bonds over the past few days, according to people familiar with the matter. 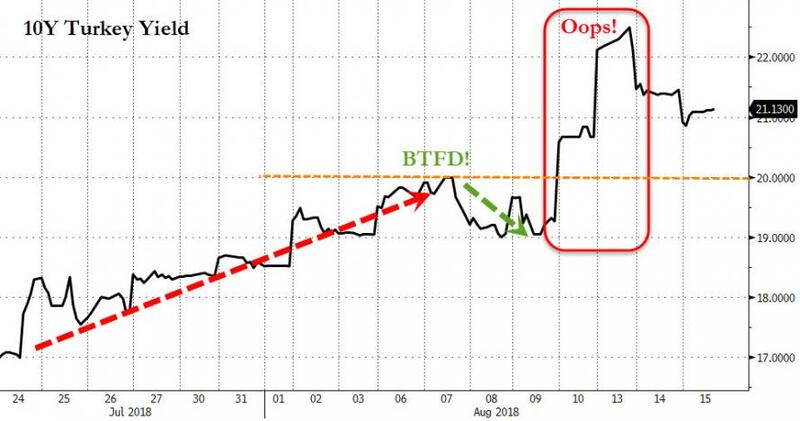 Tolga Kirbay, a London-based credit trader, was caught on the wrong side of what appears to be a BTFD-bet that 10Y Turkish yields would be capped around 20% over three trading days starting from Thursday, said the people, who asked not to be identified as the details aren’t public. While the loss may be modest compared to Barclays overall size, it is noteworthy given that Barclays generally makes up to $100 million in revenue each year trading emerging-market corporate bonds in Europe, the Middle East and Africa, according to the people. Bloomberg reports that Kirbay joined Barclays earlier in the year from French lender BNP Paribas SA, and is one of a number of hires the British bank has made for its credit business in the past year and a half as it seeks to take on more risk to chase higher returns. He traded bonds of Turkish corporates and banks at BNP Paribas, as well as sovereign debt, according to a person familiar with the matter. Is the fantasy of easy money from BTFD-trading starting to crack? We suspect it will take a lot more pain for that 'conditioned'-response to finally be erased.